Here’s proof that sailboats can have just as much fun as power boats. 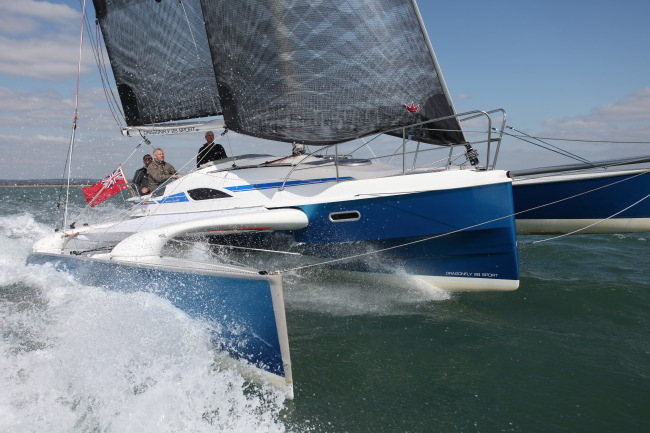 The Dragonfly 28 Sport is a Danish trimaran (three hulls) that’s built for speed. The cabin comfortably sleeps five, making it a great traveling boat. At a pricey $119,000, the Dragonfly has received rave reviews from its European testers. Watch the video below to see it in action. One day I want to do this!